Pew Research Center estimates that there were about 3.3 million Muslims of all ages living in the United States in 2015. This means that Muslims made up about 1% of the total U.S. population (about 322 million people in 2015), and we estimate that that share will double by 2050. 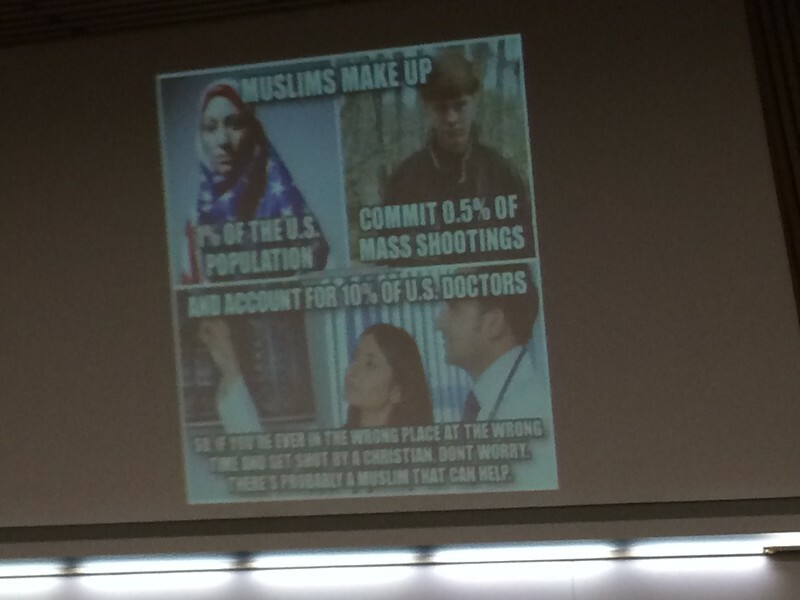 "...Finally, the image claims that 10% of American doctors are Muslim. But a 2005 article on the religious characteristics of U.S. physicians published in the Journal of General Internal Medicine counted counted only 2.7% U.S. doctors as Muslim, and the numbers get shakier from there. A May 2008 Muslim Link article estimated that 10% of American doctors are Muslim, but the methodology it used was a highly questionable one based on assumptions made about religion relative to race and nationality:.."
How can "we" live in peace together in the "UNITED" States of America?